Find the right Goodyear commercial truck tires for your fleet. Browse Goodyear's lineup of tires specialized for the needs of your fleet. Find commercial truck tires featuring innovative technologies to help your fleet save money on fuel and reduce downtime and more. Get the SmartWay-verified tires you need to help meet your fleet's emissions regulations. Warranties backed by our Dealer Network can give you total peace of mind. Explore consumer, aviation, off road and other types of Goodyear tires. Find commercial tire brochures, catalogs, and data books here. 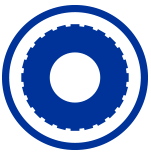 Request a Fleet Consultation from a Goodyear Commercial tire expert. 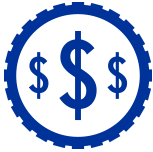 Find current specials and rebates for your fleet. Find the right Goodyear® commercial truck retreads for your fleet. Find commercial truck retreads for drive, all-position and trailer positions. Get long tread life and repeat savings with exclusive UniCircle® retreads. See how Goodyear warranties backed by our Dealer Network can give you total peace of mind. Exceptional features for national and regional fleets with 20-100 trucks. Smart pricing, tools, roadside assistance and more for owner/operators and small fleets with fewer than 20 trucks. For large fleets interested in consistent pricing and service at any Goodyear commercial truck location. For Bus and Transit Fleets interested in having the experts manage their tire programs. Ongoing tire tracking and optimization to help reduce fleets' operating costs. Join a program today to help save your fleet time and money. Get coast-to-coast coverage for your fleet with our network of 2,300+ locations. See how Goodyear Fleet HQ can help save your fleet money. Never worry about surprise costs with consistent nationwide tire and service prices. See how dealers use the SmartTech App to significantly reduce your roll times. 24/7 roadside assistance can get you rolling in about two hours or less from the time you call. Know the overall condition and performance of your fleet's tires. Avoid costly penalties with trailer inspections. Go farther using less fuel. Take control with powerful reporting tools. See how your tires and maintenance programs are performing. Manage your operations and track each casing. See where most of your fleet's road failures occur so you can make improvements. Get immediately connected to our call center 24/7 with the push of a button. * Recommended from My Solutions finder. Your web browser does not support storing settings locally. In Safari, the most common cause of this is using "Private Browsing Mode". Some settings may not save or some features may not work properly for you. To turn off, open Safari, tap and then tap "Private". Validation code has already been sent. Click the link below to enter or resend validation code. An account with this email address already exists. Please sign in below. An account with this email address does not exist. Please fill out the information below to create an account. An email has been sent to your email address with a validation code. Enter the code below to confirm your email address. Validation code has already been sent to this email address. Enter validation code below or click the button to resend validation code. Please enter a valid code. A validation code has not been sent. Please create a new account in order to receive your validation code. You have successfully logged out. Sign in to see your saved pins. You can help save money and achieve a lower cost-per-mile by using Goodyear® retreads. They help extend the useful life of your casing while still providing performance and long tread life. Insist on Goodyear retreads instead of generic retreads to help your fleet get the lowest cost per mile. Tire retreads are a great value for any fleet because only the tread is replaced. The casing is the most expensive part of the tire and can be used through several tread lifecycles. Goodyear closely monitors and tracks the condition of every casing to help ensure the quality of its retreads. Goodyear UniCircle retreads offer extended performance and the same appearance as new tires. They feature a spliceless construction because they’re made using the patented Goodyear retreading process. UniCircle retreads offer lasting toughness from their spliceless construction, as well as even treadwear and low rolling resistance due to uniform retread characteristics and dimensions. The end result promotes cost-efficient performance. Precure retreads offer versatility. They’re available for almost any application. Plus, we offer retreads that match the tread designs of new tires for enhanced performance. With Goodyear retreads, not only do you help save money, you help the environment. Retreading can allow you to use tire casings multiple times after the original tread is worn. A wide selection of high-quality Goodyear retreads are available at all Goodyear Network Dealers from coast to coast so you can spend more time on the road and less time searching for retreads. Select your type of driving. Saved! You can find it in My Solutions. Create an account to save long term. Start Over - Please note, starting over will clear out your previously recommended solutions. Would you like to see tires for this [vehicle/size] or start a new search? See how Goodyear can help your fleet go farther for less. Find the program that's geared to help save your fleet the most money. Our network of more than 2,300 dealers is connected to your needs 24/7. © 2019 The Goodyear Tire & Rubber Company. All rights reserved.